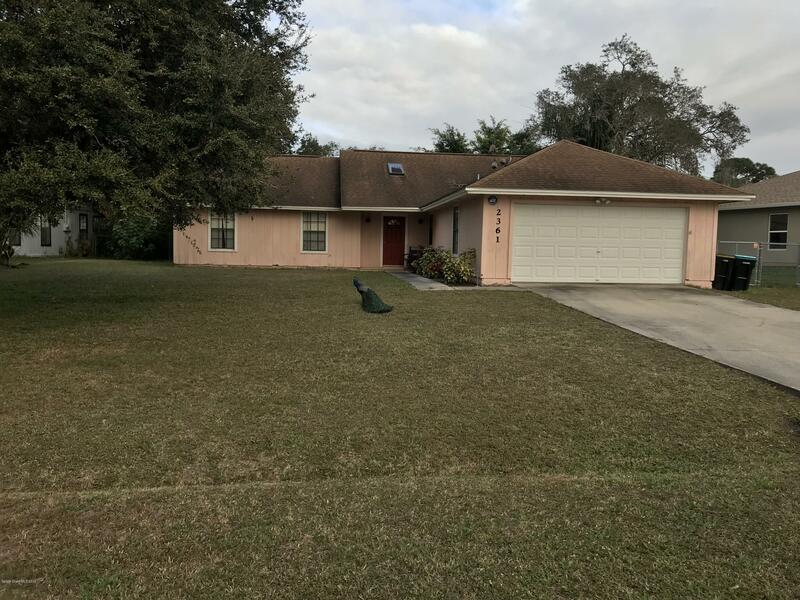 Cute 3 bedroom, 2 bath home nestled in the back of a desirable neighborhood in NE Palm Bay. The over-sized Kitchen is perfect for the home chef or entertaining. The fenced-in back yard is perfect for the kids and pets. A little TLC will make this the perfect home. Close to shopping, hospital, doctors and schools.